The International Cricket Council’s (I.C.C.) Women’s World Cup 2017 East Asia Pacific (E.A.P.) 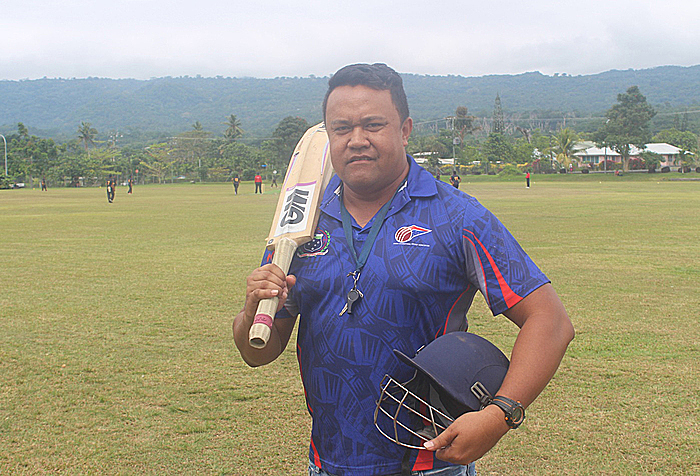 Qualifier has given Samoa plenty of wonderful cricket action during the past few days. Since the tournament started last week, teams from Japan, Papua New Guinea and Samoa have been braving the hot sun to represent their countries with such pride and to fight for that one spot into the London World Cup next year. Only one will get the opportunity to qualify for the World Cup and that alone has ramped up their performance. “The tournament is going pretty good; I think all teams are really up to the standard that they need to be in,” Seuoti told the Samoa Observer yesterday. Seuoti said the skill level displayed on the field is admirable and shows just how much the teams really want that number one spot. “The skill level of this competition is looking very high,” he said. “I think with any sport trying for the World Cup, they will always step up their game; in regards to cricket, the level of skill has really stepped up over the past couple of years. “If you look at the development of cricket in Samoa you will notice drastic improvements in standards as opposed to previous years. “So we are doing really well starting from the grassroots and making our way up the levels till we get to the national teams. For Seuoti, expectations of the tournament were well met and they will look into bringing more to Samoa. “The standards of this tournament are exactly as we expected,” he said. “I think we just need to have more tournaments here in Samoa; we have the best quality fields for the sport and we need to utilize it.